It’s all in the name. This beautiful medium – large tree (up to 13m) will reward you with some stunning red uniform foliage during Autumn. A flaking bark tree with a beautiful bronze to dark green foliage in Autumn. You’ll get the full spectrum with this 7m tree – Yellow, reds, oranges, burgandy. Beautiful! A smaller 5m tree, with intense yellow and orange autumn colours. Perfect for smaller landscapes. 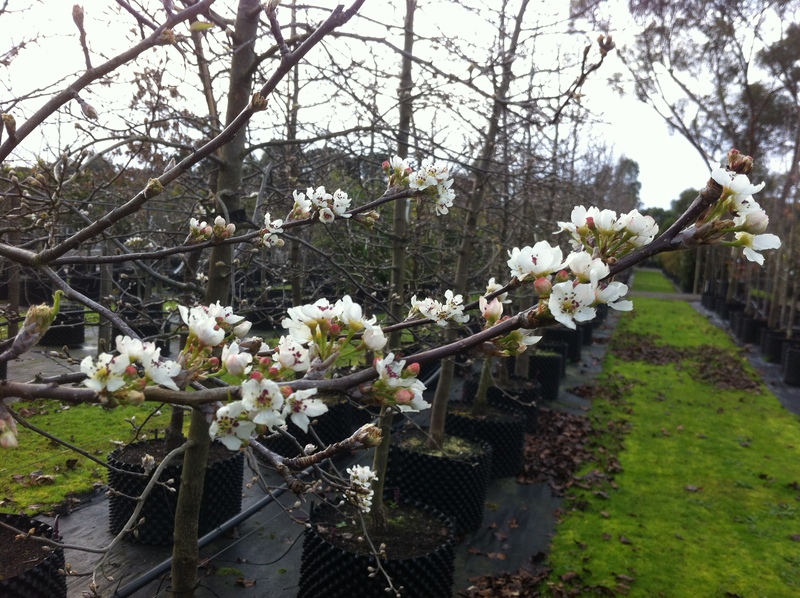 This tree (up to 4m) looks great in roomy spaces, with a purple foliage all year round, changing to flame red in Autumn. This beautiful Japanese Maple is considered the best of the maples! It will grow quickly when young, and will eventually reach around 5m high. A vibrant and deep red foliage appears in Autumn. This hardy tree is made for Melbourne. 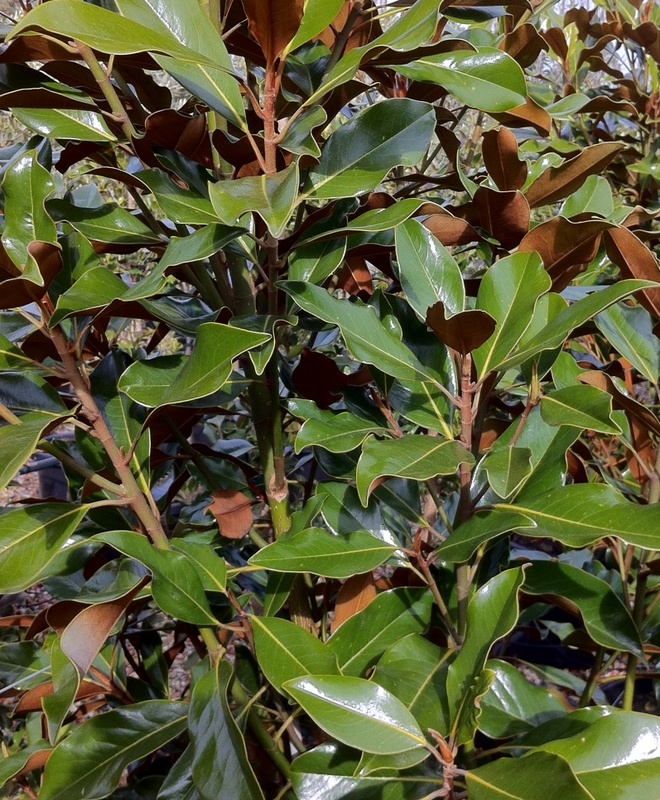 Grows up to 8m high with a yellow, red and maroon foliage in Autumn. We’re talking the whole family. No matter which you choose from the Pyrus family, you’ll have beautiful Autumn colours to match. A spectacular Autumn tree. If you’re looking for a bright orange foliage, this is your guy. Will grow up to 8m. This gorgeous golden-green tree really starts to shine in Autumn and the leaves become a bright yellow gold. Will grow up to 9m. A vine leaf maple with a spectrum of autumn colours. It’s a beautiful, rounded open tree which works well in sheltered positions. 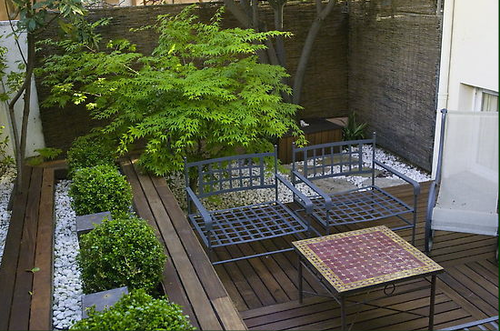 A stunner for the courtyard. If you want anymore advice on Autumn trees, please give us a ring on 9859 9190. You can also grab our April price list here. 1. Give the pot a good soaking before you plant. Not just a quick surface water, but a good, deep drink. If possible, plunge the pot into a bucket of water, and let it get completely saturated. This is important because, up until it is planted, the tree will have been surface watered only so the centre and lower part of the root ball may not be damp, and if it goes into the ground with dry soil around the roots subsequent surface watering might not reach these parts after planting. 2. Make sure that you water the hole before you plant the tree. A crucial step that is often overlooked is ensuring that the soil the tree is going into is at least as wet as the soil around the tree. There are several reasons for this. Firstly, the porosity of the soil in the ground is likely to be different from the soil in the pot. This means that when the pot soil touches the ground soil, the difference in porosity will mean that water will be drawn from the wetter soil to the drier soil. This also helps avoid another common problem, which is that the surface of the soil in the pot can be less permeable than the soil in the garden. This is caused by a build up of roots in the upper part of the pot. This can lead to water run-off when watered from above. 3. Scratching out roots is very important. There is a bit of an art to this, as usually the roots at the edge of the root-ball are the finer feeding roots, and are therefore most delicate and also most important to the tree. It’s important to free them up, so that they start growing outwards immediately, and that they are surrounded by fresh, moist soil. However, scratching out overly-aggressively can lead to a loss of important new roots. This is also a time to do some root pruning it required. Large roots at the edge of the root ball can be pruned back a little to encourage the growth of new, outward growing roots. 4. If planting into heavy or clay soils, make sure that the bottom of the hole is dug in such a way that the centre of the hole is the highest point at the bottom, with a slope away from the centre. This can then be leveled by filling the bottom of the hole using good quality mix. The reason for this is to avoid creating a ‘sump’, where water can collect and sit, rotting the roots. This sometimes happens when a hedge is put in, and a single trench is dug for the hedge. Because the water will travel horizontally in heavy soils, pools can form at the lowest point of the trench. This can mean that only one tree in a hedge dies, because it has been unfortunate enough to be sited at the point where the water collects. 5. Once planted, make sure that the gap between the hole is filled evenly with mix, and tamped-down gently to avoid any air-pockets forming. Then, its time to give the tree another good soaking, making sure that the entire area around the tree, including the root ball and the new soil, is well watered. 6. 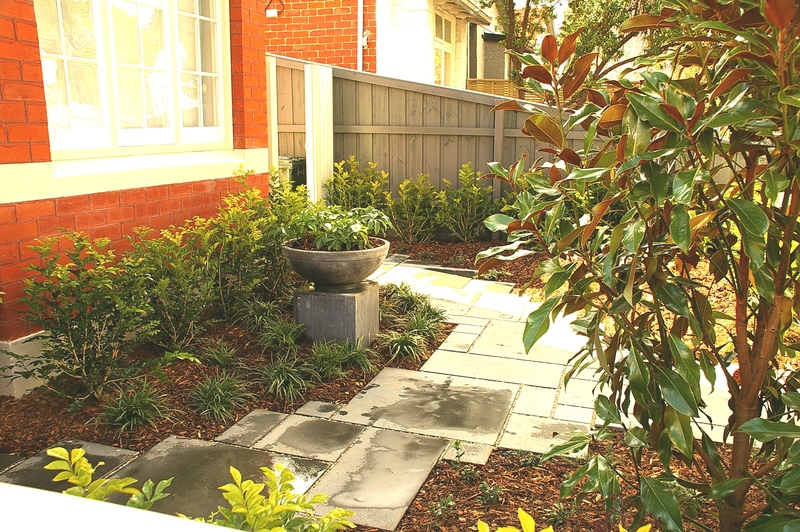 If you are using a mulch, make sure it is damp when applied, and apply it to damp soil. Dried out mulch can wick moisture away from newly planted trees. 7. Monitor watering and weather until the trees settle in. When planting trees, the environment around the roots is radically altered. Where there was once an impervious barrier, there is now new soil. Moisture and gas levels will vary significantly, and for a tree putting on new growth, this potentially places extra strains on the trees just as it is entering its most active growth season. xCupressocyparris ‘Leightons Green’ is an old favourite for creating a fast, dense, blue-green hedge. The thick growth responds well to pruning, enabling a very neat, tailored effect. 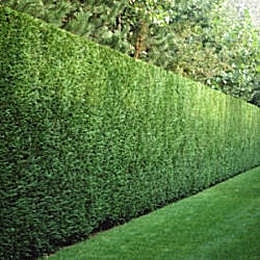 It is also a great choice where a taller hedge is needed. It is able to cope with droughts well, and, of course, is very frost hardy. It has few cultivational needs, coping well with poorer or heavier soils. An annual topdress, a couple of prunings, and this tough, workable tree will reward the grower with a stunning hedge in no time at all. We have some lovely big specimens in 40cm Rocket Pots, densely branched, around 2m tall, and ready to plant out for an instant screen. Contact us for details. Sales apply only to registered wholesale buyers. Special offer applies until designated stock sold. 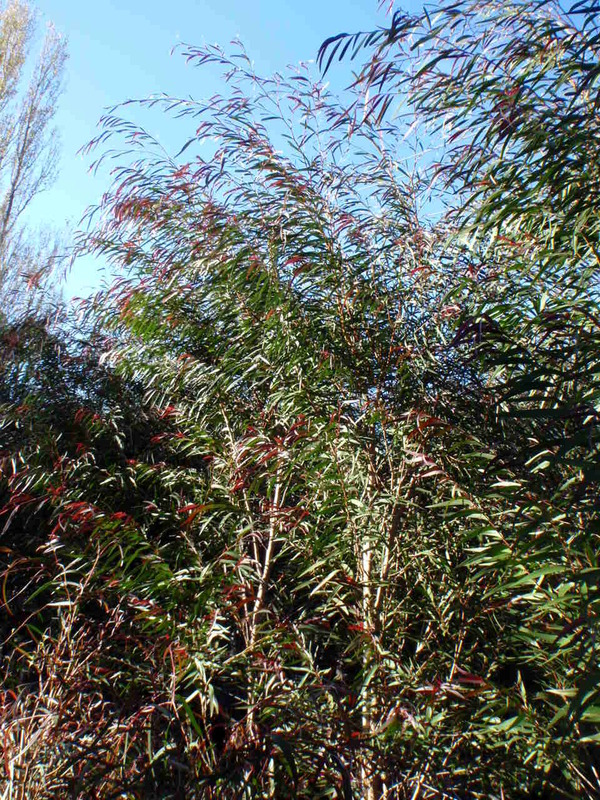 This lovely form of the Peppemint Willow has several advantages for use in gardens. It forms a graceful, small tree with a weeping habit. The species name of flexuosa refers to the way the stems zig-zag. 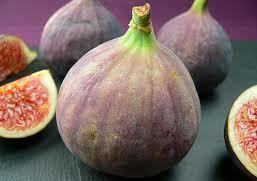 The new foliage is a lovely purple, and frequent trims will encourage new flushes. 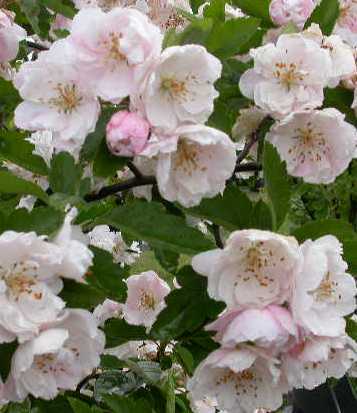 Small white flowers appear along the branches in spring, and the foliage has a lovely peppermint aroma. 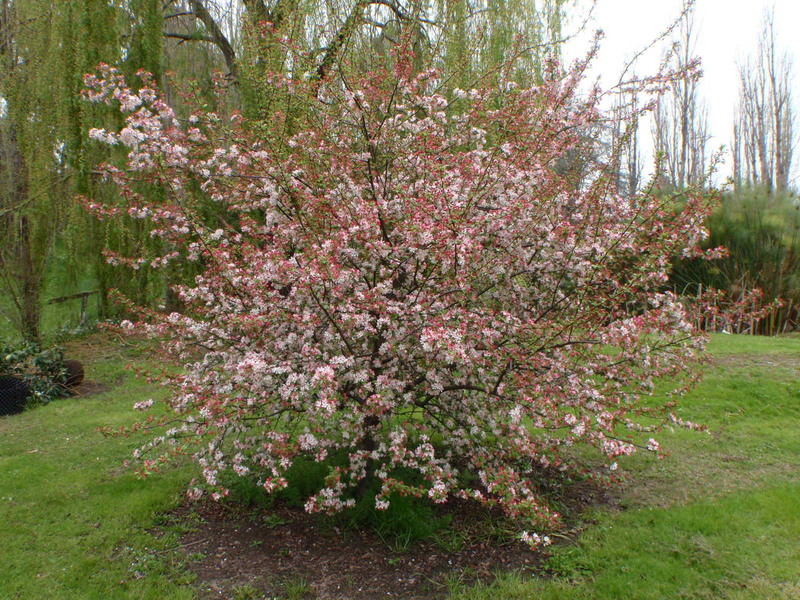 A great choice where a small (to 5m) tree is needed and the conditions might not favour a more traditional weeping tree such as a cherry or maple. We have lovely big 50cm stock on special at the moment. They are standing 2.5m planted in the pots, will full development. Contact us for details of the special offer. Offer applies to registered trade customers only and will be available till the end of June or until the allocated number of special offer trees is sold.